Shirt with bib 97% Cotton 3% Elastodiene by Norio Nakanishi - Clothing Women Shirts On Sale. 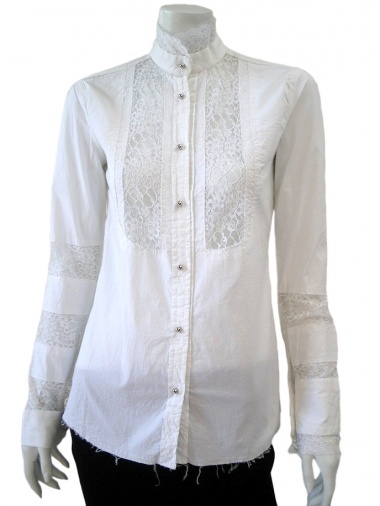 Shirt with korean collar, elasticated, inlays in lace on the bib and armholes. Metal-buttons with stalk.